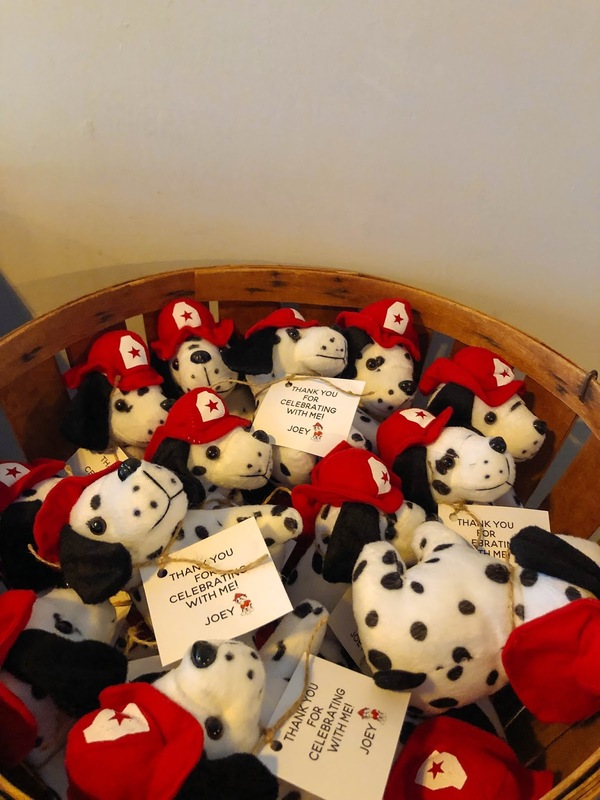 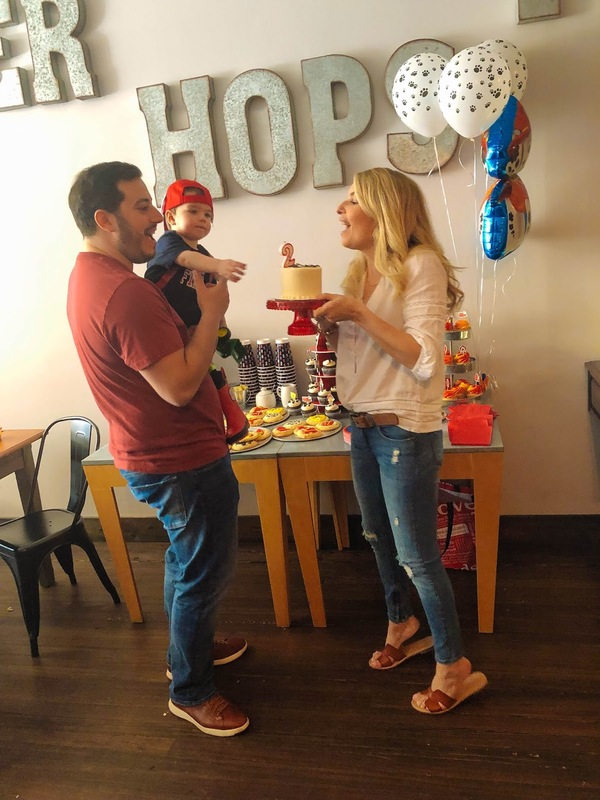 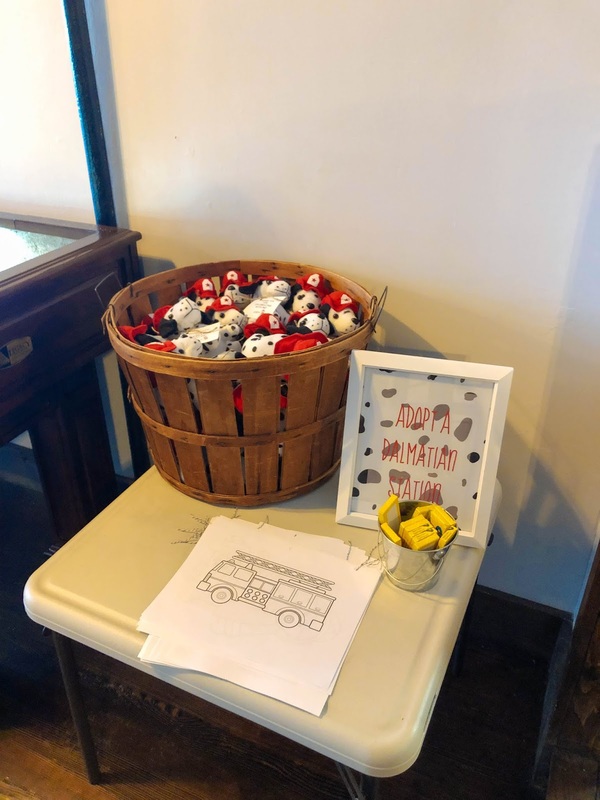 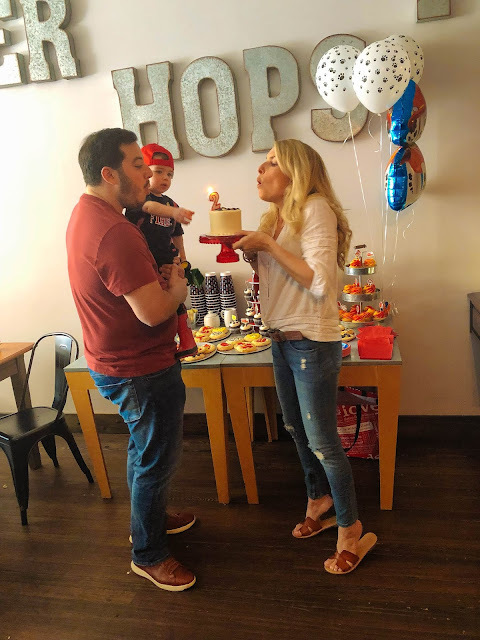 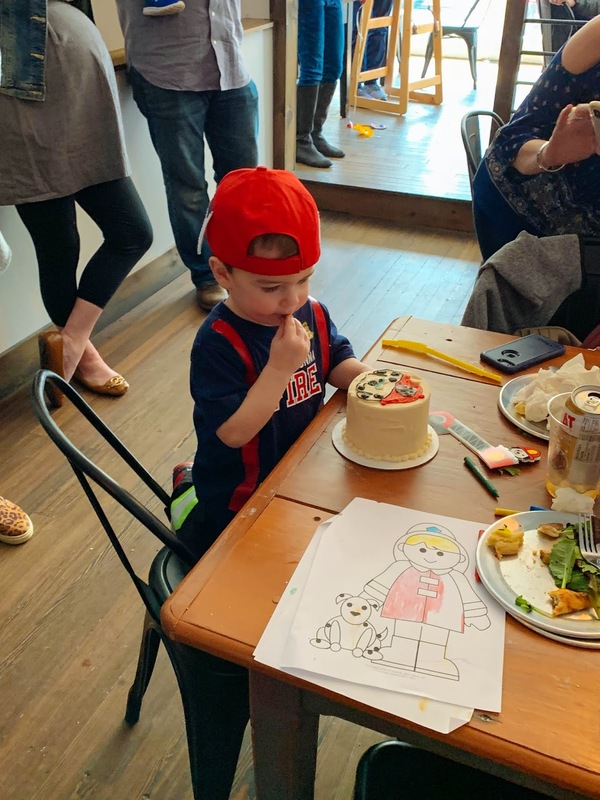 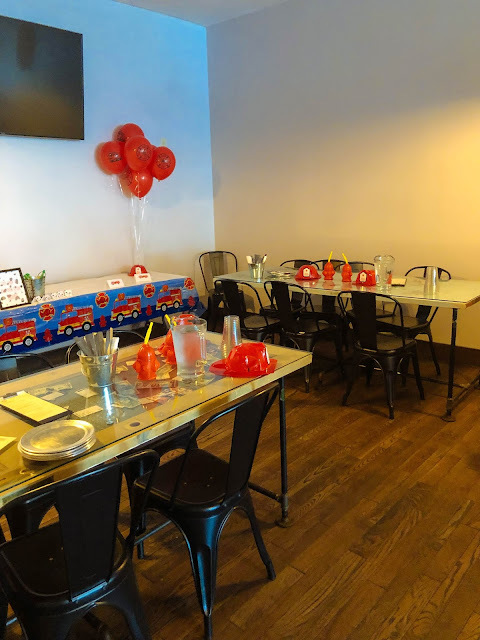 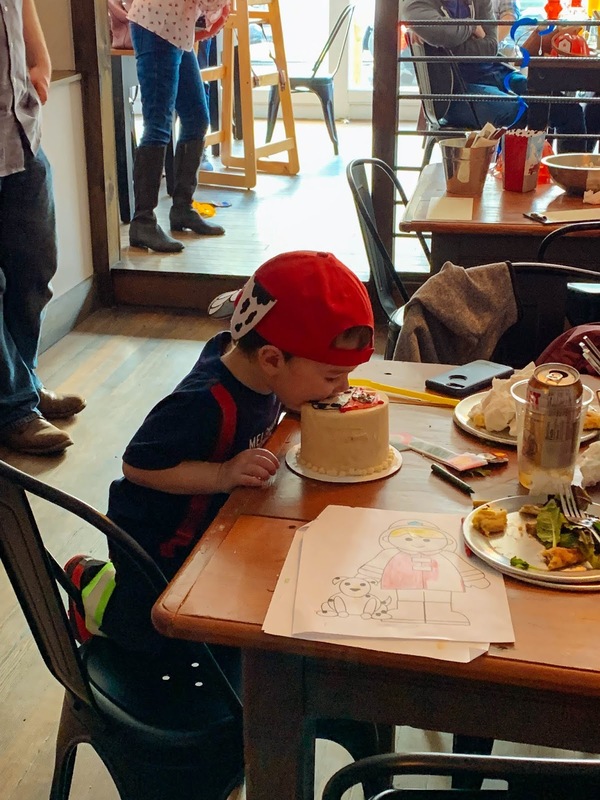 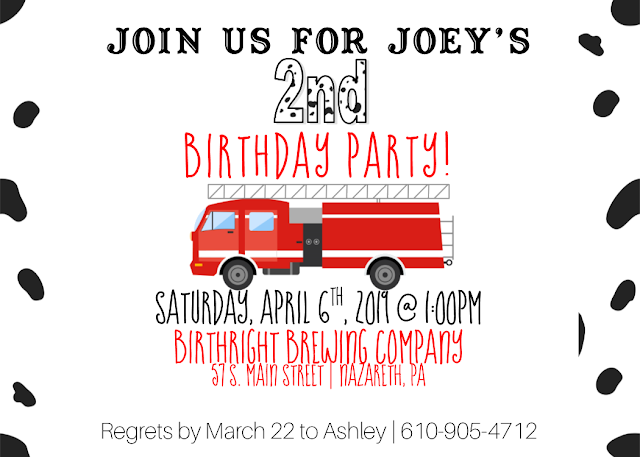 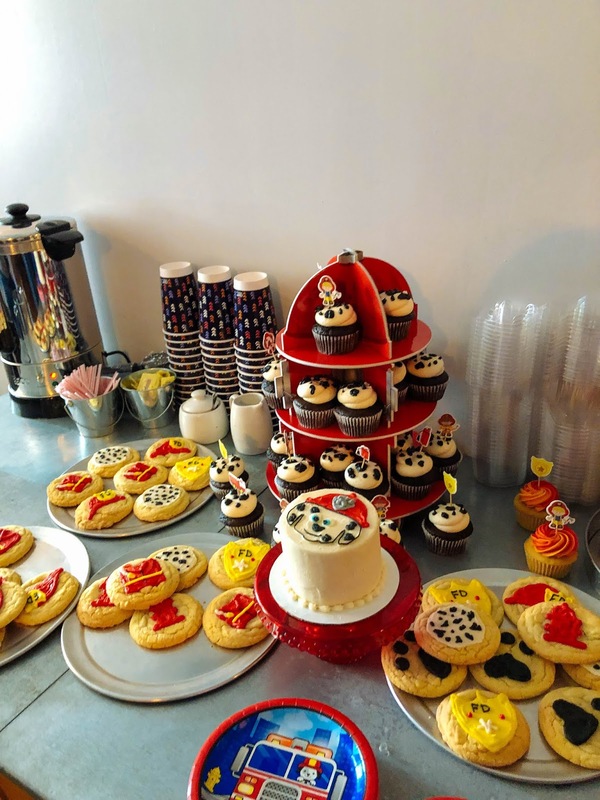 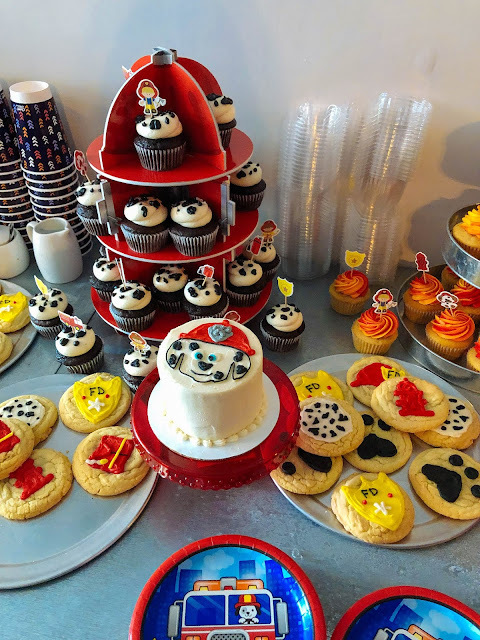 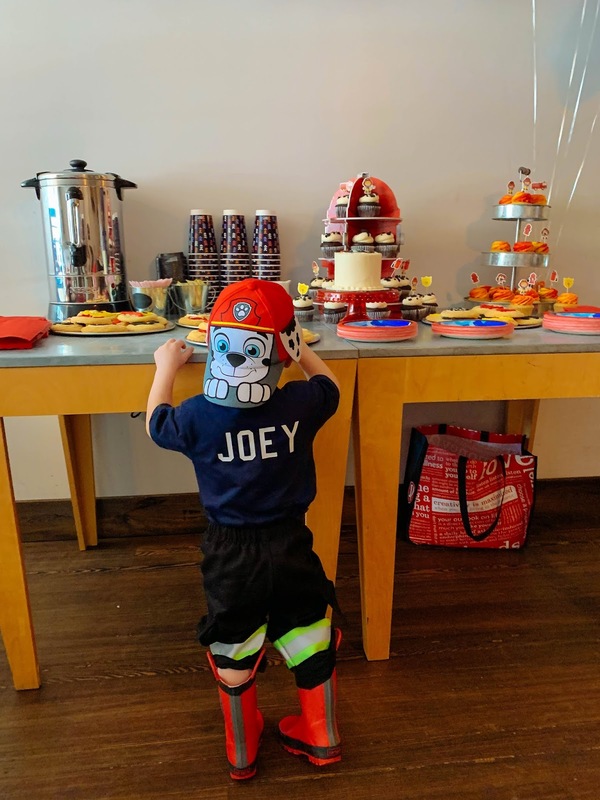 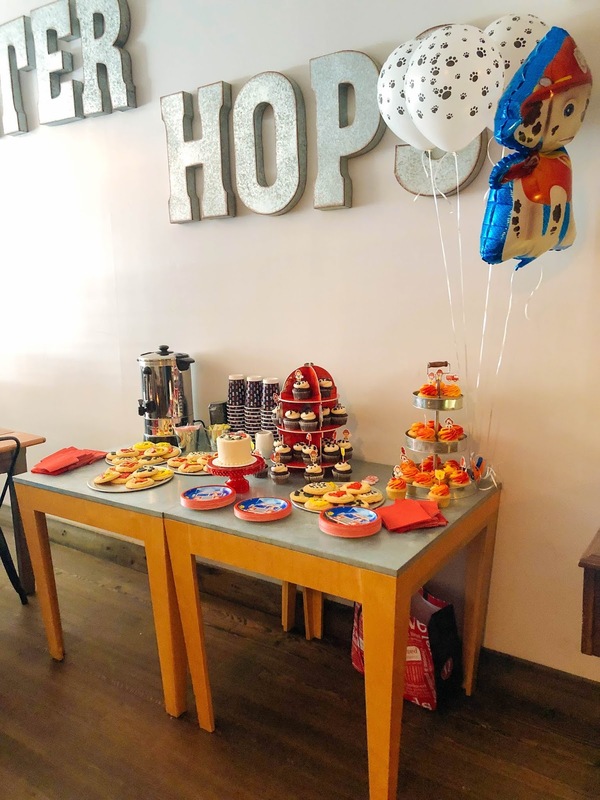 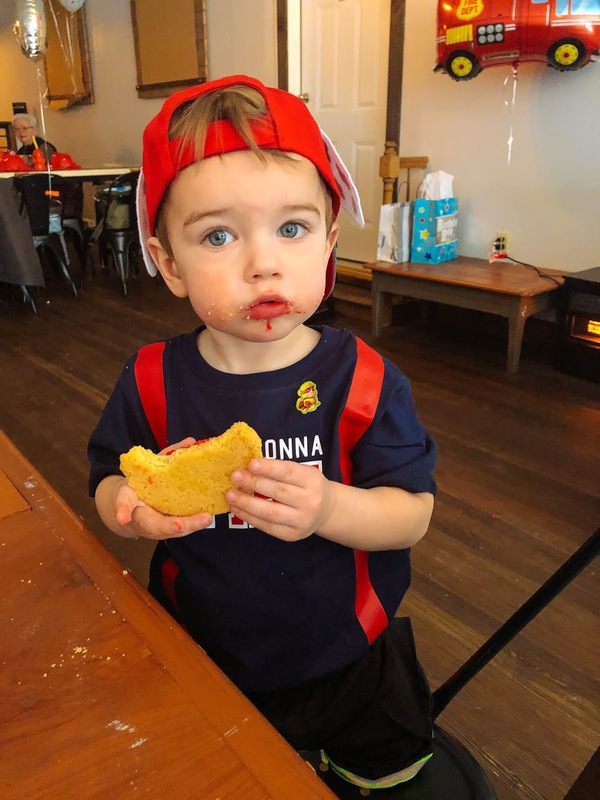 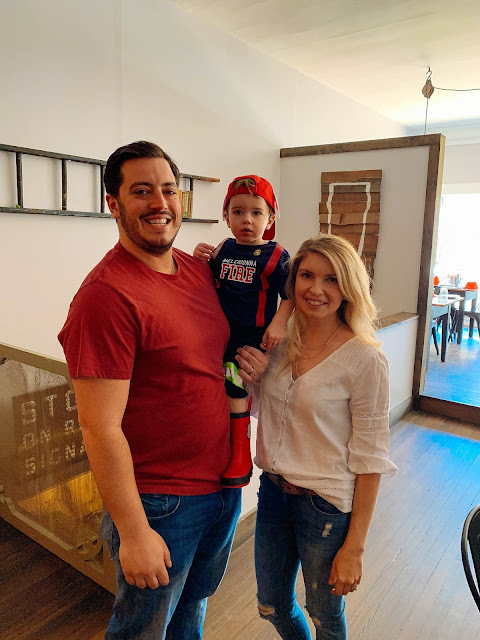 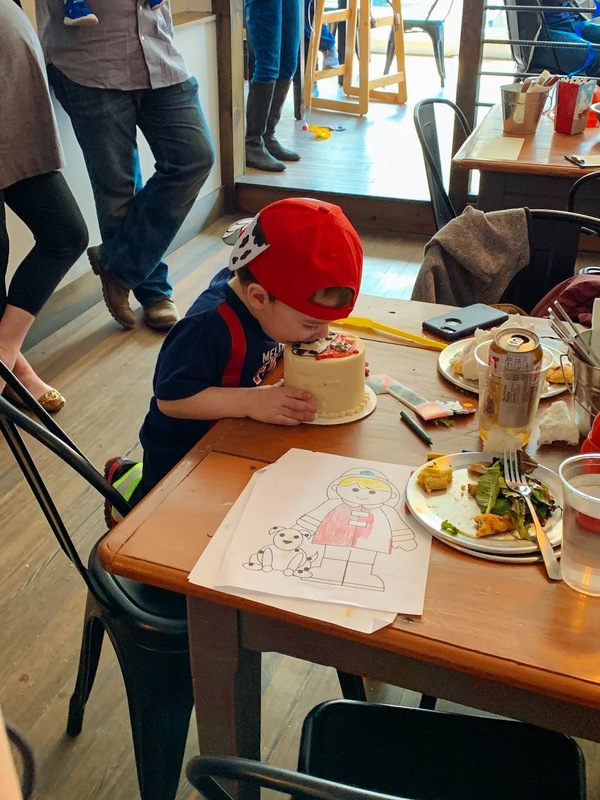 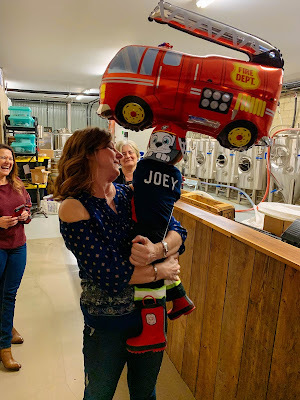 This past weekend we celebrated Joey's second year with a Fireman Theme Birthday Party! 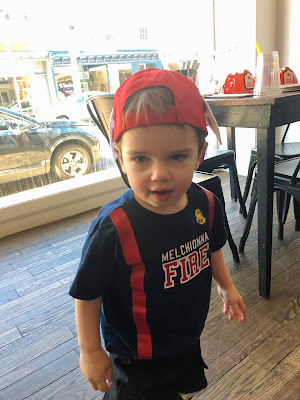 Right now he is obsessed with trucks, cars, tractors and anything and everything that moves. He has so many firetrucks that he zooms around the house and does that whistles sounds with, we felt this was a perfect theme for him to celebrate with. 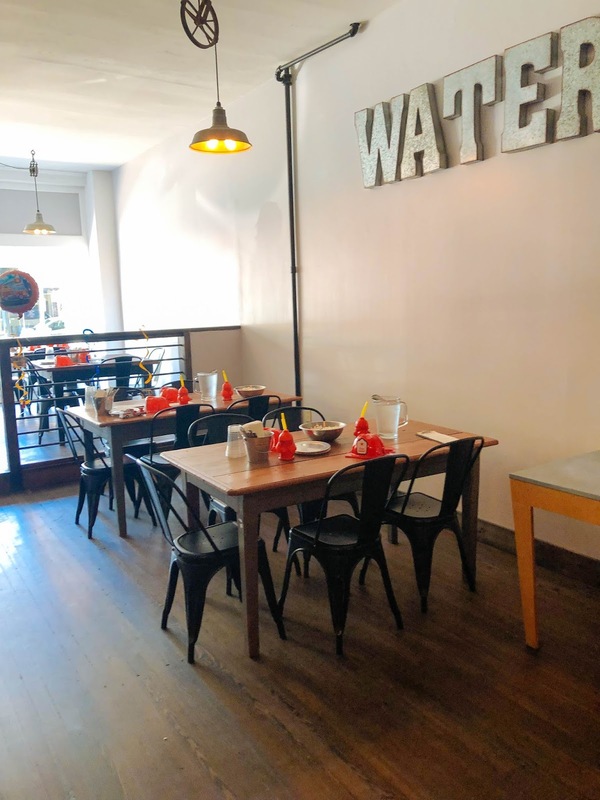 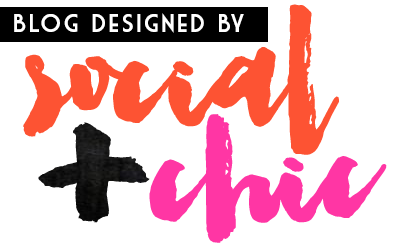 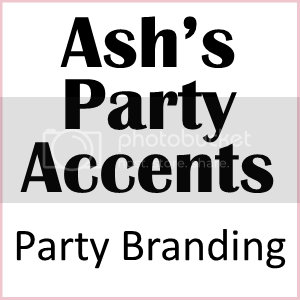 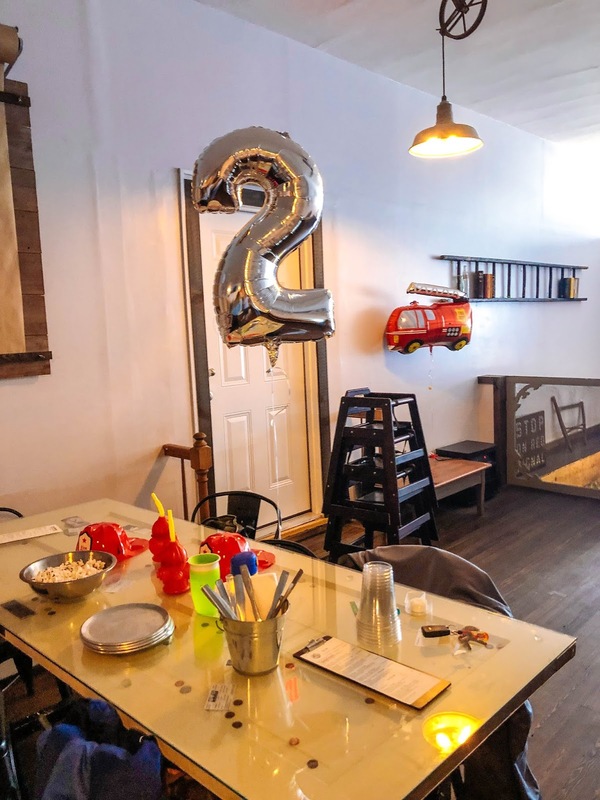 This year we decided to have his party at a local brewery, that makes the best gourmet pizza's and appetizers called Birth Right Brewing Since most of our friends have kids, we tried to keep it smaller, but man did I love seeing all the kids running around the room! 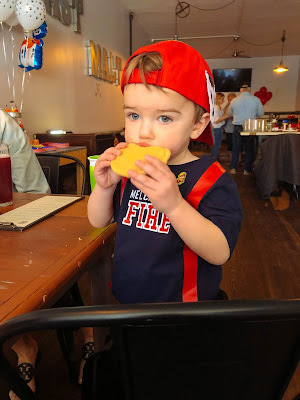 Before the party even started, while I was setting up; he of course stole a cookie off the dessert table and devoured it in no time!